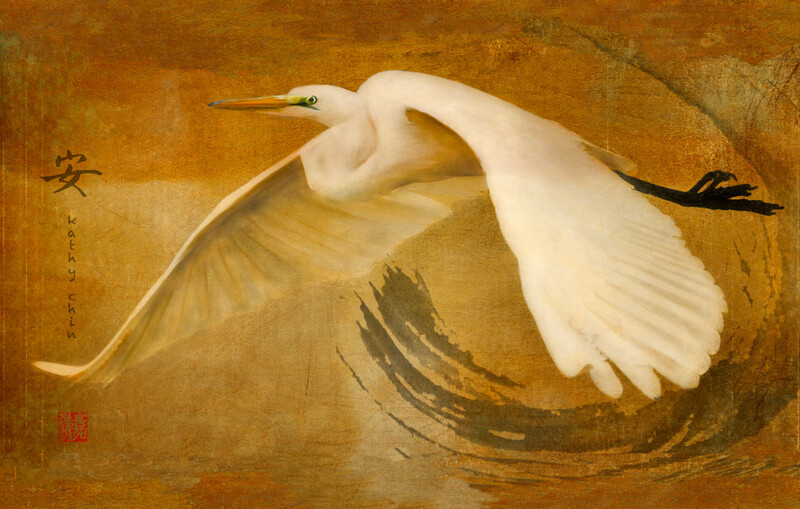 Great Egret flying towards tranquility symbol. Textured orange background. Chinese brushed “C” also in background with name and chop.